NORCAL Mutual Insurance Company, the ninth largest medical professional liability insurance provider in the nation, introduced a new policy to physicians and healthcare professionals in Texas with comprehensive protection for certain data breaches, cyber liability and risks related to administrative activities, as part of its strategic national expansion. 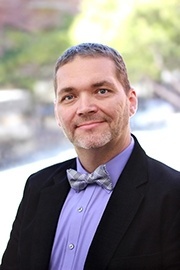 Josh Hyatt, PhD, senior risk management specialist at NORCAL Mutual Insurance Company, was named President-Elect of the Southern California Association for Healthcare Risk Management (SCAHRM) Board of Directors, effective June 1, 2015, also receiving a Presidential Service Award. This is the second consecutive year Hyatt has been honored by the SCAHRM Board of Directors for his dedication to the organization and his service in the field of healthcare risk management. NORCAL Mutual Insurance Company, the ninth largest medical professional liability insurance provider in the nation, is now offering coverage to physicians and healthcare professionals in Oregon with comprehensive protection for certain data breaches, cyber liability and risks related to administrative activities, as part of its strategic national expansion.